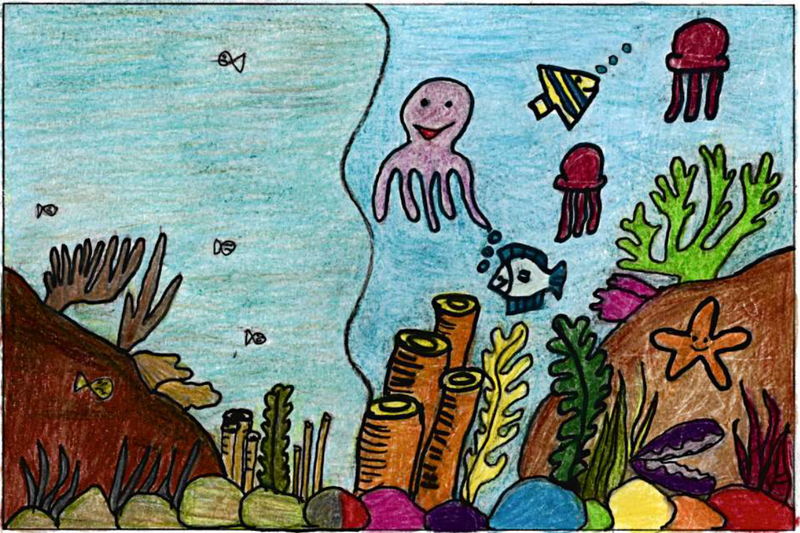 Design a stamp for the British Indian Ocean Territory – winners announced! 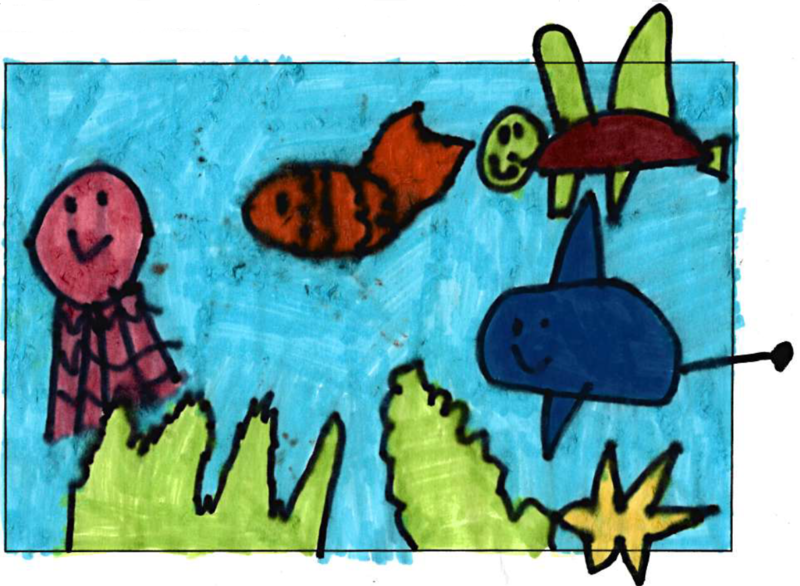 To celebrate 2018 being the International Year of the Reef (IYOR), the British Government launched a IYOR Stamp Design Competition in March. The competition was open to children aged 4-17. The challenge was to design an official postage stamp for the British Indian Ocean Territory (BIOT) on the theme of “Why are coral reefs and oceans important?”. There was an incredible response to the competition with entries coming in from all around the world. The panel of judges met at the end of May for the difficult task of deciding which entries should win. The level of competition was high, with some very impressive and well thought-through designs. 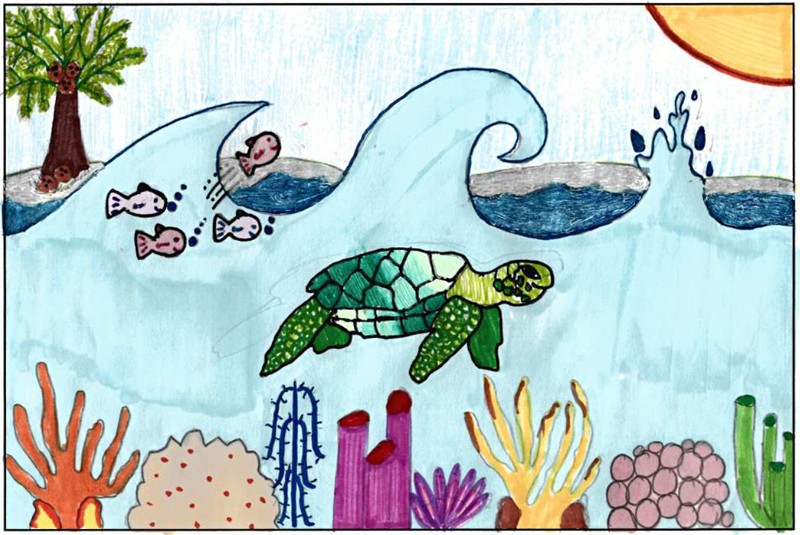 The themes that were covered included how healthy reefs should look, damage caused by over fishing, and plastic pollution. Because of the number and quality of entries, the judges were asked to select not only an overall winner for each age category, but also “specially commended” entries. IYOR and the British Government would like to thank everyone who took part in the competition! 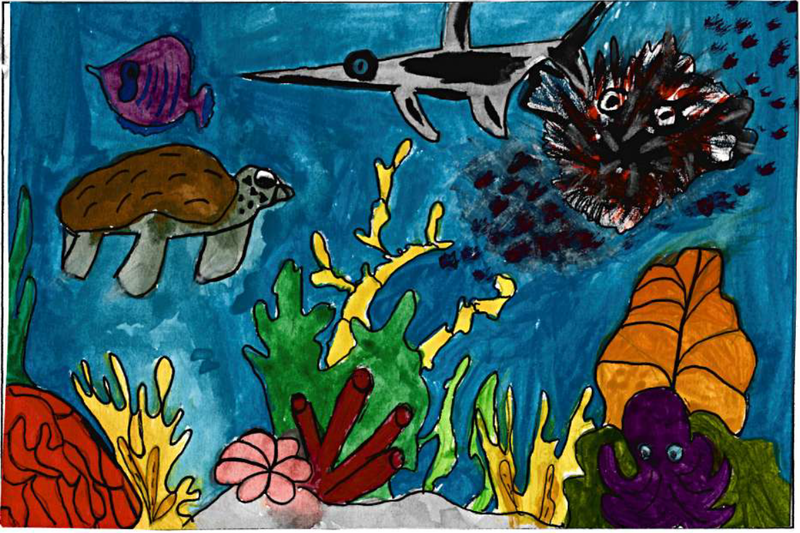 It is fantastic that so many young people are passionate about protecting the world’s reefs and oceans. Thank you all very much for getting involved and we hope you will continue to champion this message and raise awareness of our oceans, especially during the International Year of the Reef! Here are the winners and their entries, which will shortly be made into stamps – congratulations! Laura’s winning stamp was featured in her local news – here.